June 8th is Best Friends Day.Well, it is only June 6th now.As I am out for another friends wedding reception, I am posting it before to celebrate the day.Confused about the title? 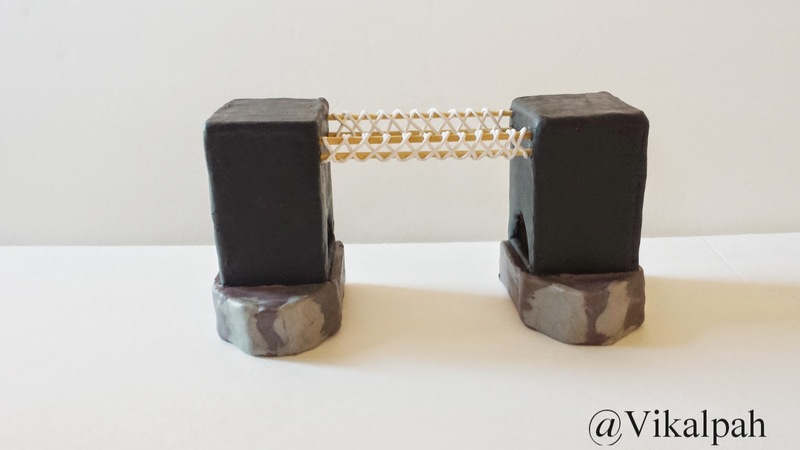 Well, this post is about my wedding gift to my sweetest ,best friend forever ! !Her name is Sinduja.When her wedding date got confirmed I had no idea whether I will attend her wedding due to some personal reasons. But suddenly in March , I planned for a vacation of one month ,in which her wedding date was June 1,2014 . 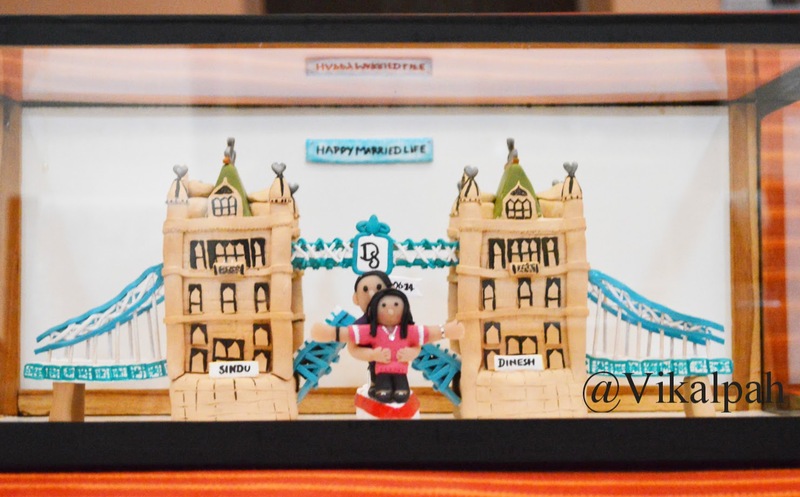 Once my plan is confirmed, I wanted to gift her something special on her special occasion and as always I wanted it to be handmade .I already made a wedding gift for one of our friend which is a North Indian bride and groom keepsake gift. 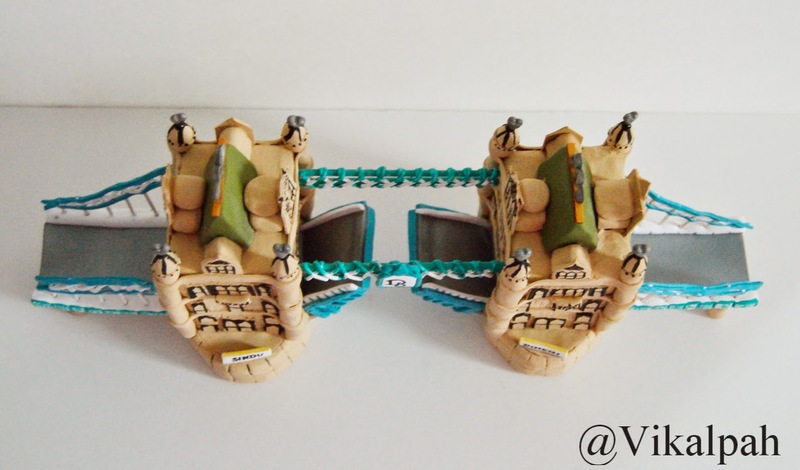 (If you have not seen that, click here).So, I don't want to make something similar to that. (Always trying something new, interests me! 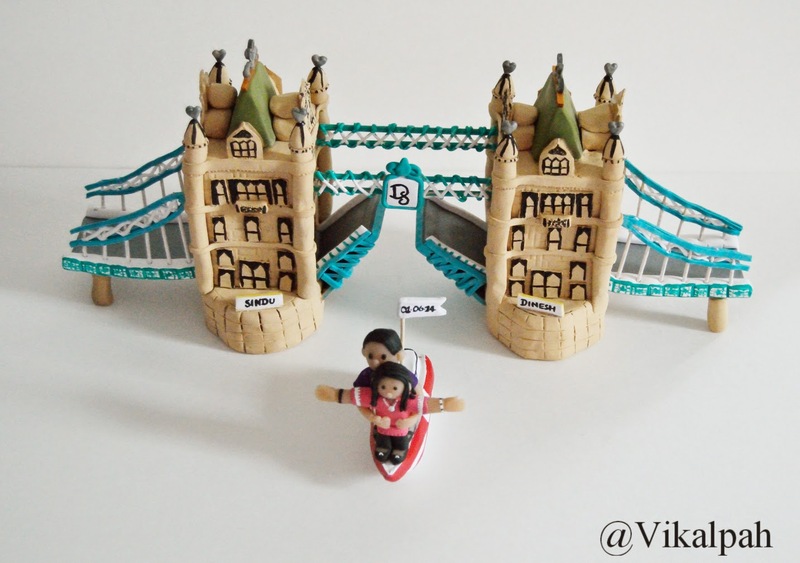 )Then , suddenly an idea clicked that I can make a London bridge for her, as she is going to London for few months after marriage. I thought that would be a memorable gift. 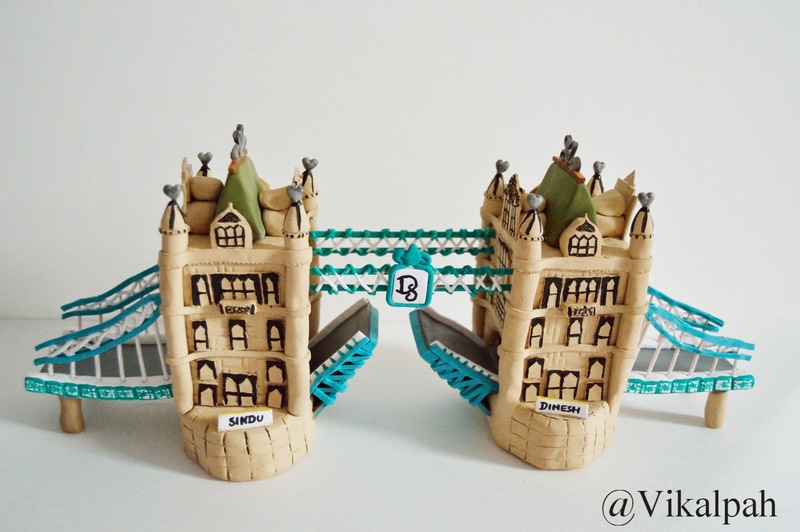 I had no idea How I am going to make it , I just simply sketched a London bridge with a couple standing at a centre .Oh well !! 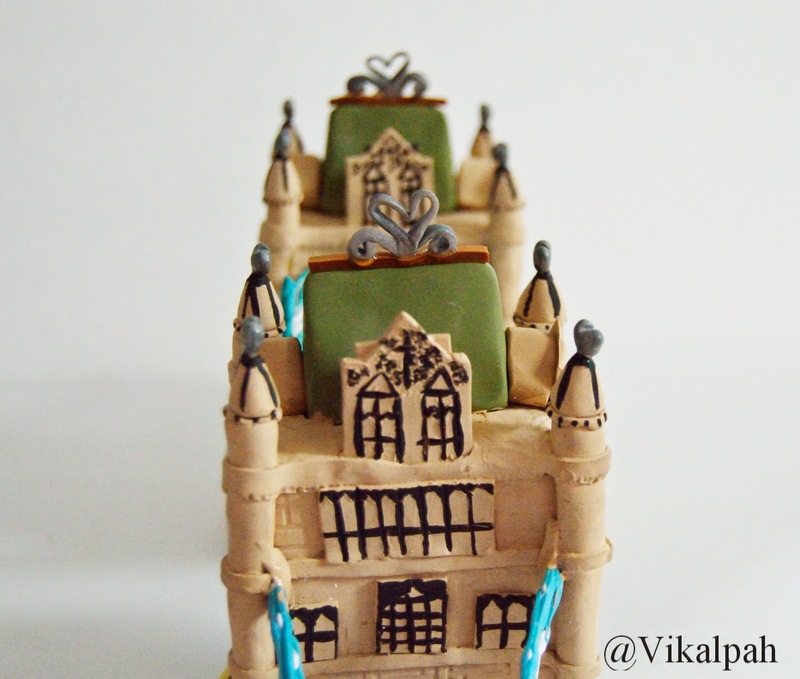 You are asking me in what you are going to make the London bridge.Obviously , It is going to be my favourite medium ,clay with which I can make my dreams real !! Re-sketched the idea!Now the roads are open and the couples are travelling in a boat as it is shown in I'm flying scene from Titanic movie :) (Sounds interesting, right ?? 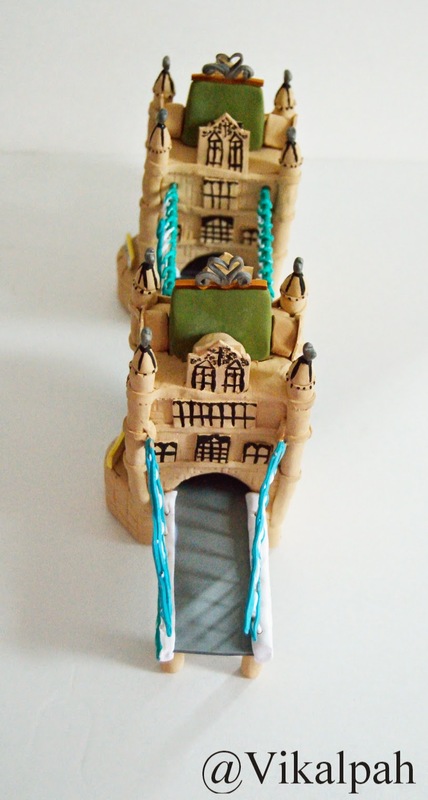 )Once I finalized that I am going to do London bridge with the roads open.I was all time thinking of - Where should I start?How much clay should I get ?How am I going to make the roads open? How am I going to take it to India ? etc,etc. Finally ,One fine day I started the making process. Here are the steps that I followed. 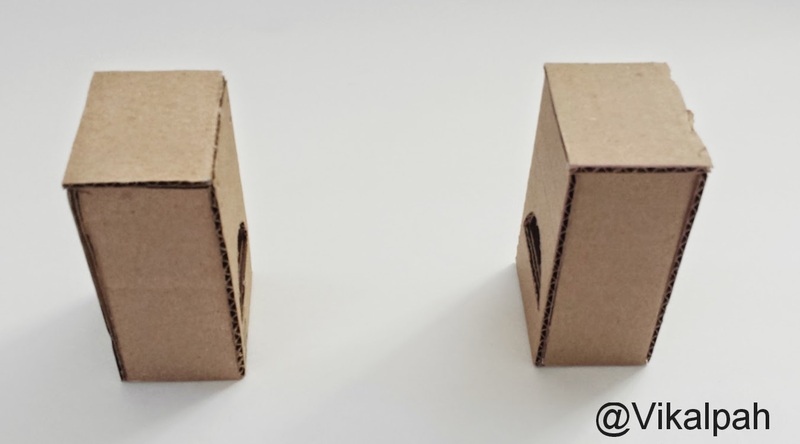 Step 1 : Made the two towers with cardboard. 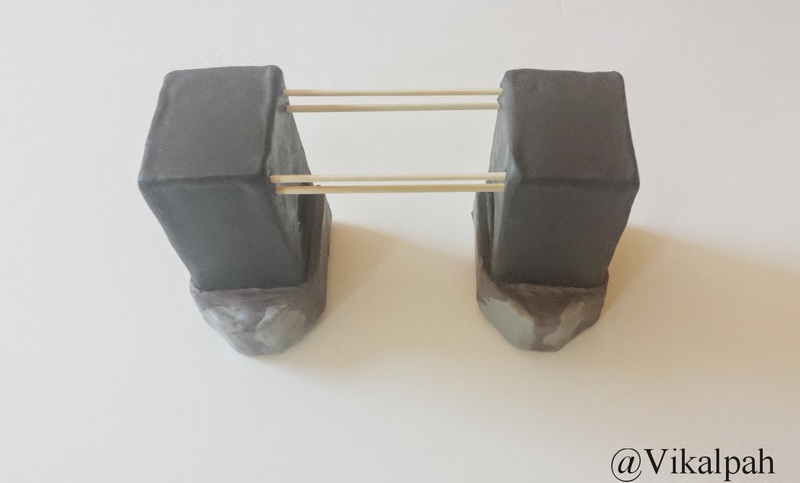 Step 2 : Covered the cardboard with some black clay using liquid clay and made a base with scrap clay.Made four holes on inside of each tower and connected with bamboo skewers. 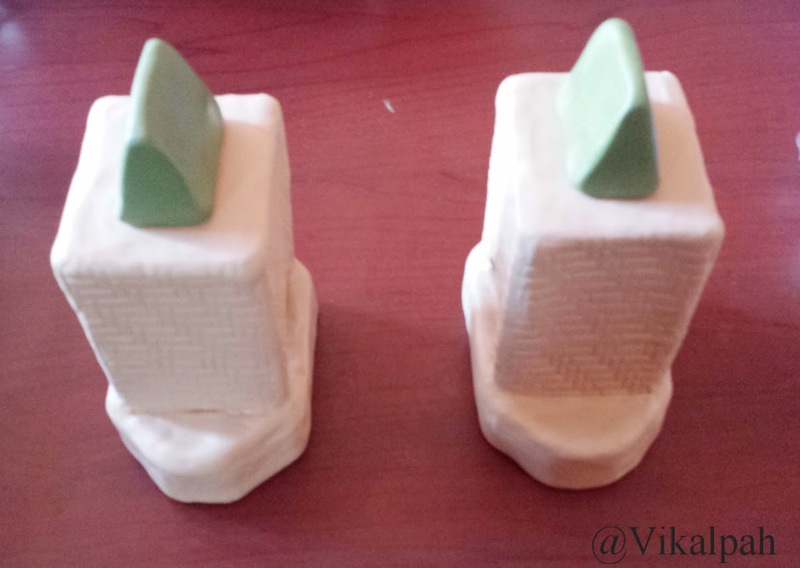 Step 4 : Covered the towers with the beige color clay and gave the building blocks impressions and started building the top of the tower. 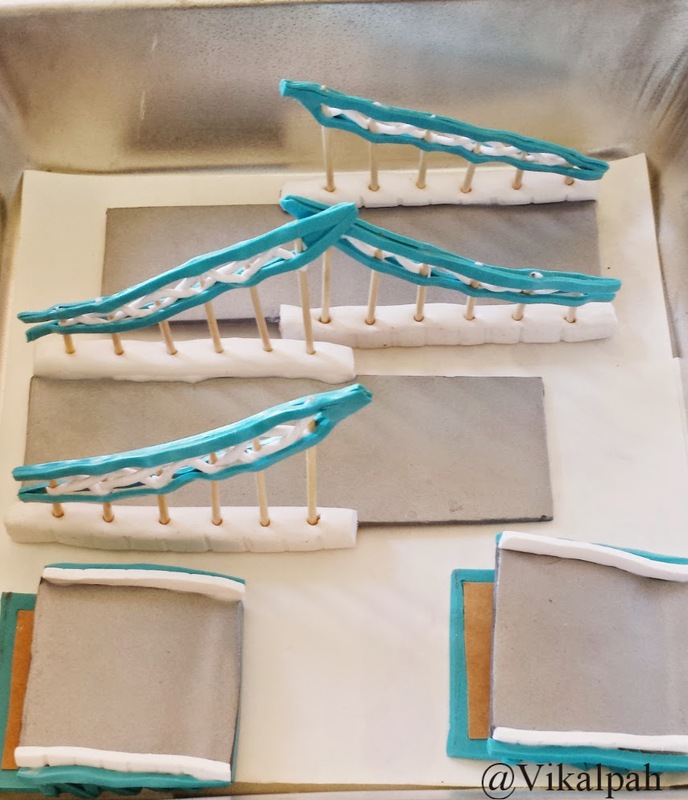 Step 5: Made the roads and opening of the bridges separately and baked. 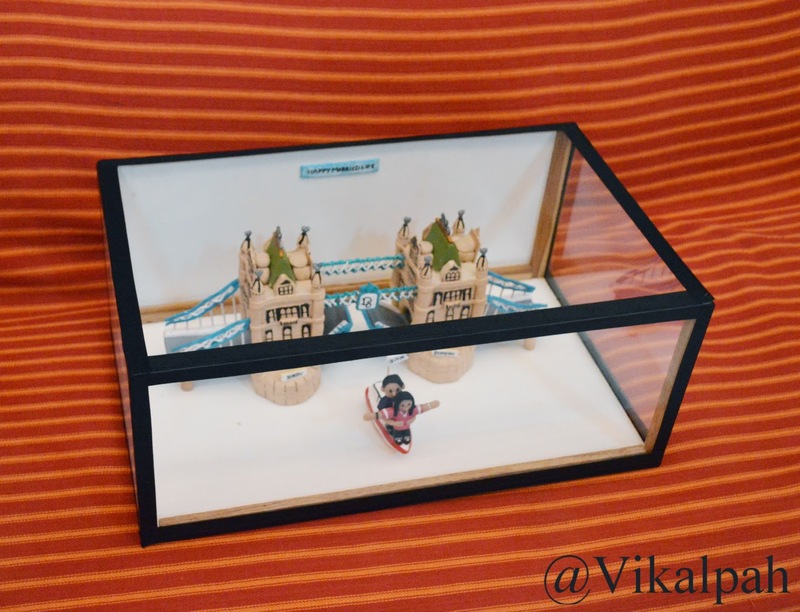 I know , now you like watching the scene, so here is the link for that -- >I'm Flying scene from movie "Titanic"
Step 8 : After everything is done, now comes the packing part.We thought of packing it in a glass cube and then taking it to India but many said that it would get damaged while shipping and also I could not take in a carry on baggage as it is glass.So, I removed the connecting rods and packed the towers separately and assembled it after coming to India. To make it look clean and bright I used marker board wood for the base and background and used plexi glass for all other sides. 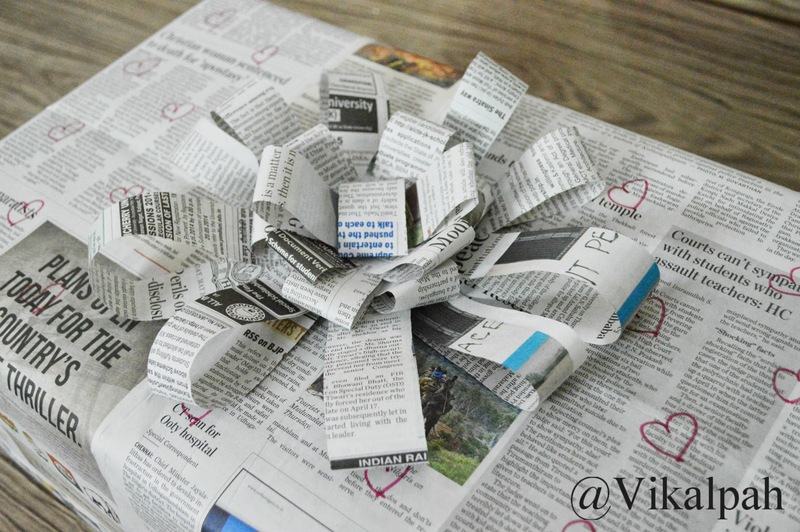 Step 9: Wrapping the gift. 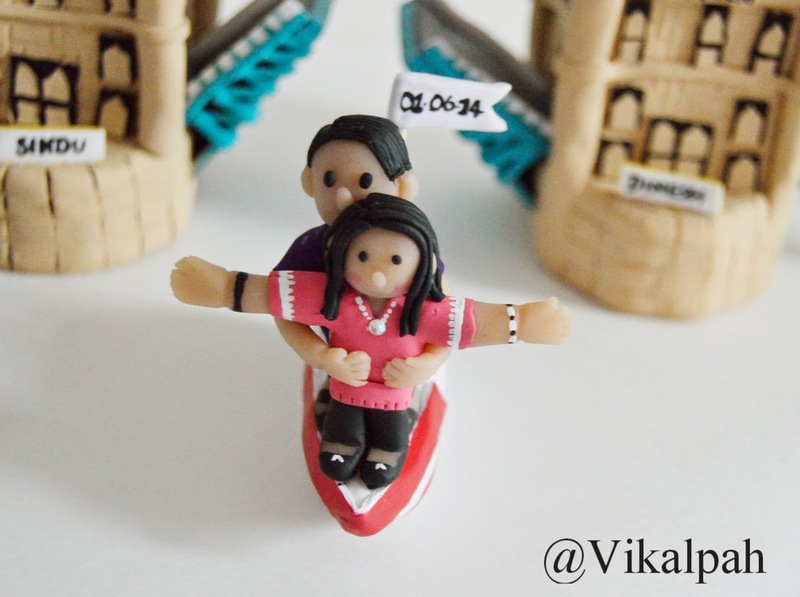 I planned to give the gift to her before her big day as I felt that would be safe.But , We couldn't meet before that. :( Suddenly one afternoon , when I was planning for a nap ,she called me and said I am coming to your home in half an hour.So, this was my only chance to give the gift to her before the Big day. I was not ready for wrapping part, as I had in my mind that there are three more days and anyway if we couldn't meet , I will go home to see her one day and give the gift.But now , I have only half an hour to wrap it. 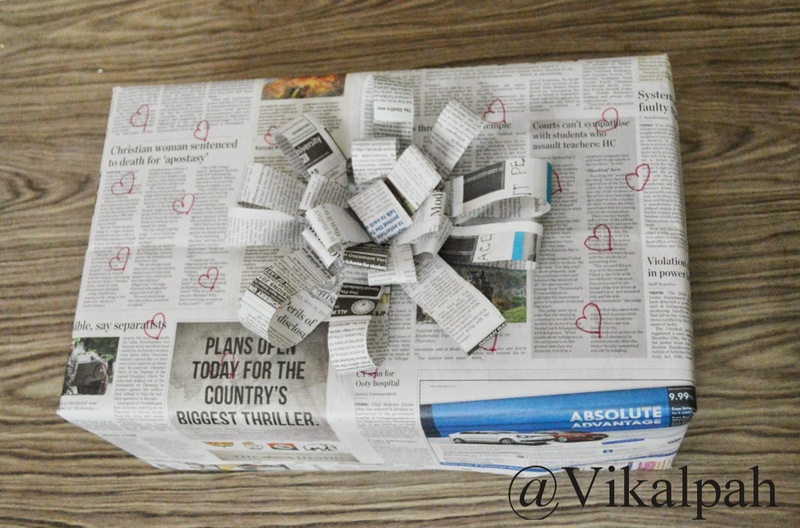 So, I decided the best way to wrap is to use newspaper.Here is the final wrapped gift. Now , the time came!!! Presented her the gift!!! She was totally surprised and like the gift a lot!! !I was happy that she even liked the paper flower very much and even preserved it :) How sweet !!! Have you made anything special for your best friend ?? Is there any memorable moments with your bff that you can share with me. .Feel free to share it below or write to vikalpah@gmail.com .I will be happy to hear from you. Thank you for taking your time to read my best friend day special post. Wow! Very creative and beautiful, I would love to try this on summer.. Thank you for sharing! 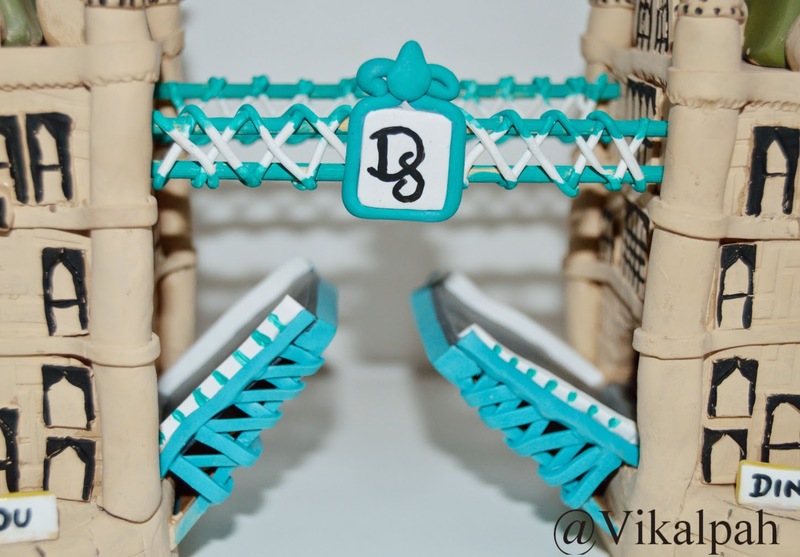 Super work sana:):) wonderful gift for sindu on her spl day♡♡♡ keep up ur work..
Wow! I'm surprised you got it to India in one piece! I'm sure your friend will treasure this gift for a long time, you put so much time and thought into it. Can you give us a tutorial for the newspaper bow? That was amazing! You're such a good friend, I would have given up around Step 1. I can't believe you MADE these, they are so adorable! 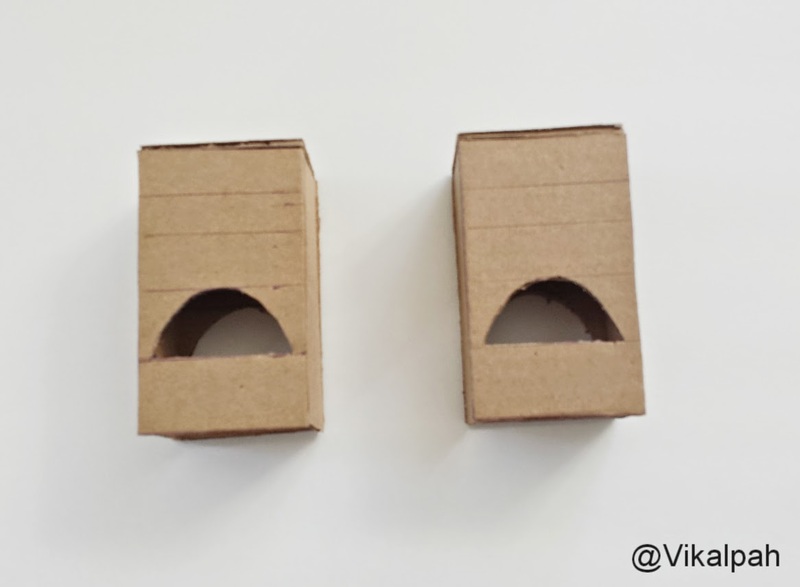 Your blog post made it seem like it was a s easy as i-2-3! I think it's amazing and could have never made that myself! 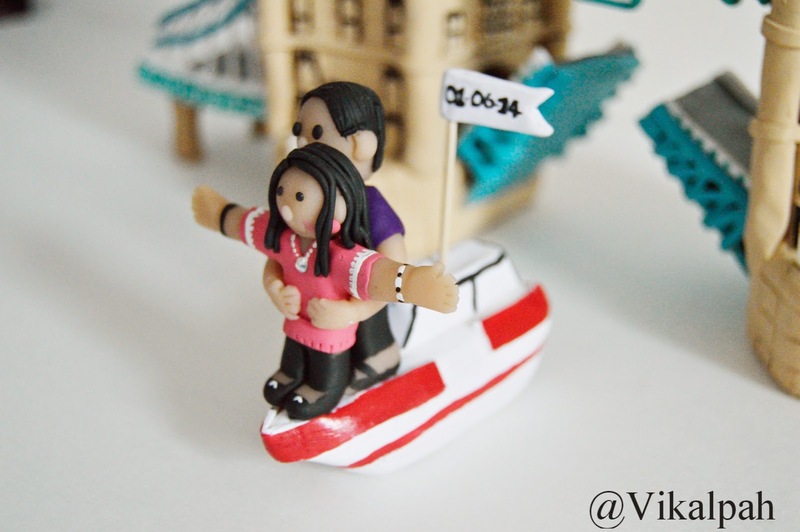 My favorite part is the two little people a la Titanic...So cute!